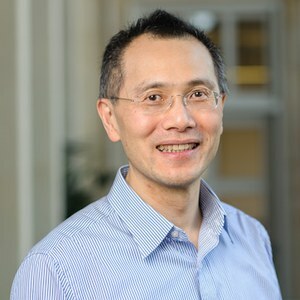 Dr Geoff Wong is a Clinical Research Fellow at the Nuffield Department of Primary Care Health Sciences. He is Module Co-ordinator for Realist Reviews and Realist Evaluations, a new short course for 2017/8. I prefer to set short to medium term goals, always have, so when I was younger it was to do well in exams and so on. Later to get into University to do medicine. I am sure you get the picture. Now, it’s to bring in more grant funding and publish more. I’d like you to indulge me and let me have two people: Trish Greenhalgh, as a role model and for all her endless help and support. Ray Pawson, for his (and Nick Tilley’s) groundbreaking interpretation of realism. Why did you get into EBM and realism? I got into both by chance. I happened to get a junior researcher post in the same department that Trish Greenhalgh worked in at UCL. As for realism, Trish happened to be working on a project with Ray and suggested I should meet and talk to him. The rest is history. What do you feel has made the most difference in a) EBM and b) realism? For EBM, when people started to realise that its mindless application does patients a disservice. For realism, it has to be getting funding to develop quality and publication/reporting standards and training materials for realist reviews (The RAMESES I Project) and realist evaluation (The RAMESES II Project). Details of both may be found at www.ramesesproject.org. I can’t thank the NIHR enough for funding us! When learners share my passion for the subject matter. Do you have any regrets about becoming a doctor/DPhil? Only the long hours and having to juggle clinical, research, teaching and academic related work. But then again if it was not all interesting I would not be doing them all! Not for me to say. I do value constructive feedback from learners – how else would I be able to improve? When I am ‘in the zone’. If you weren’t a doctor/teacher what would you be doing instead? Probably getting into trouble somewhere – so it’s just as well I am a doctor and teacher and have no time to be idle. It’s not quite enough money, but I would endow a chair in applied realist research. What one resource should every EBM and realist enthusiast read? For EBM, Trish’s ‘How to read a paper’. Again, indulge me, for the budding realist, any of Ray and Nick’s books – ‘Realistic Evaluation’, ‘Evidence-Based Policy: A Realist Perspective’ or ‘The Science of Evaluation: A Realist Manifesto’.